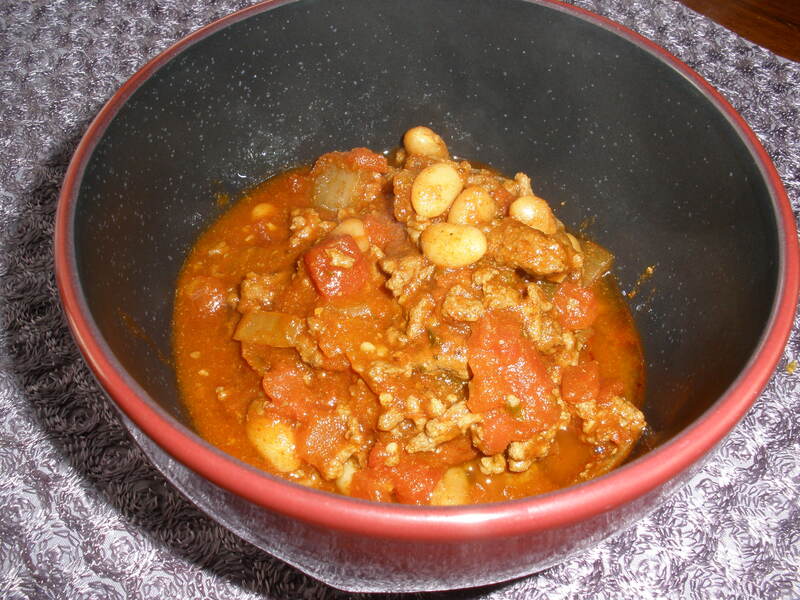 I had this stew saved in my Google Reader for a long time, before I finally found a chance to put it on the meal plan. It looked delicious, and the combination of flavors seemed very interesting to me. When I first got home from work after I had this cooking in the crockpot all day, I was a little worried. The smell was not what I was expecting — it definitely wasn’t bad, just different. But after I took the first bite, I was really pleased. It tasted so good! And like nothing I have ever had before. I crumbled up some crackers in mine, and that made it even better. Give it a try! You will need a large crockpot for this. I used my 6 quart, and I have never seen it so full! It was at least 85% full. So needless to say, this stew makes a lot — about 8 servings. 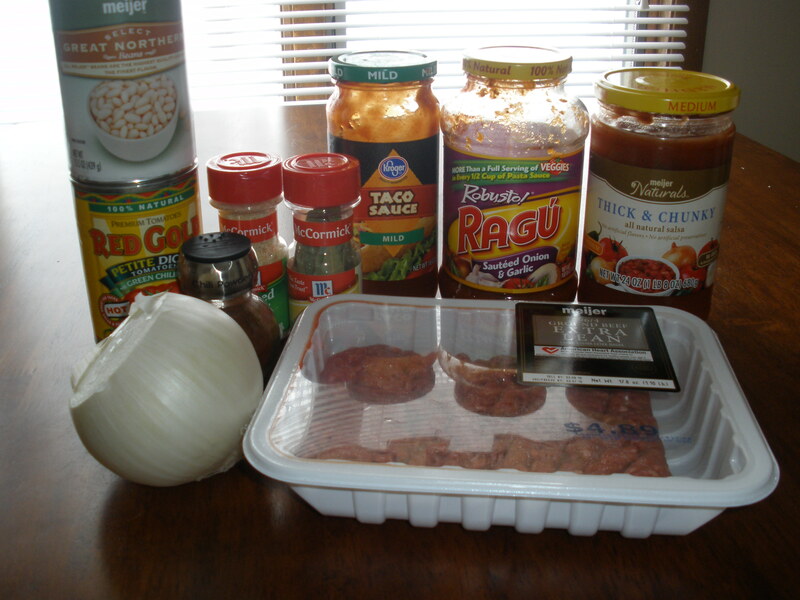 We ate a lot for leftovers the rest of the week, but we have two portions in the freezer for an easy dinner one night! Place onions in the bottom of the crockpot. Lay chicken breasts on top. 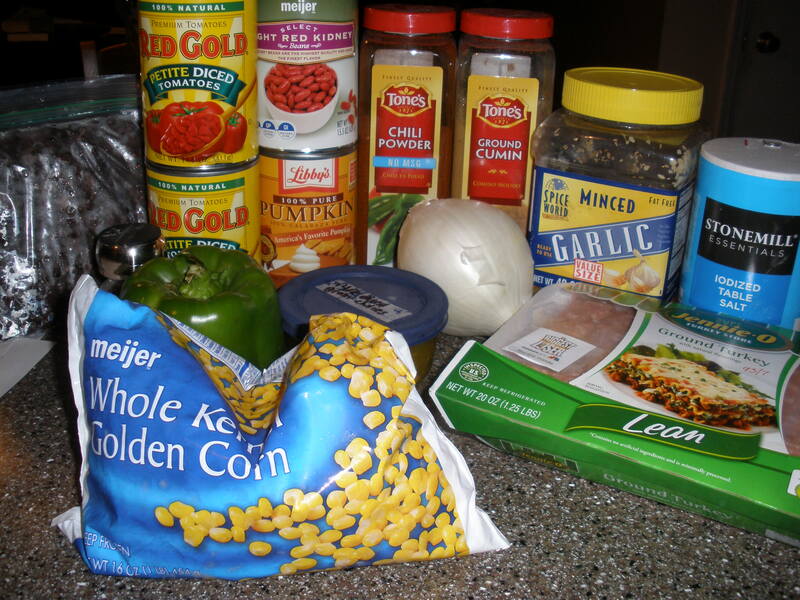 Add the rest of the ingredients, and carefully stir to combine (without disturbing the chicken and onions). Cook on low for 8 hours. Remove chicken from crock and shred. 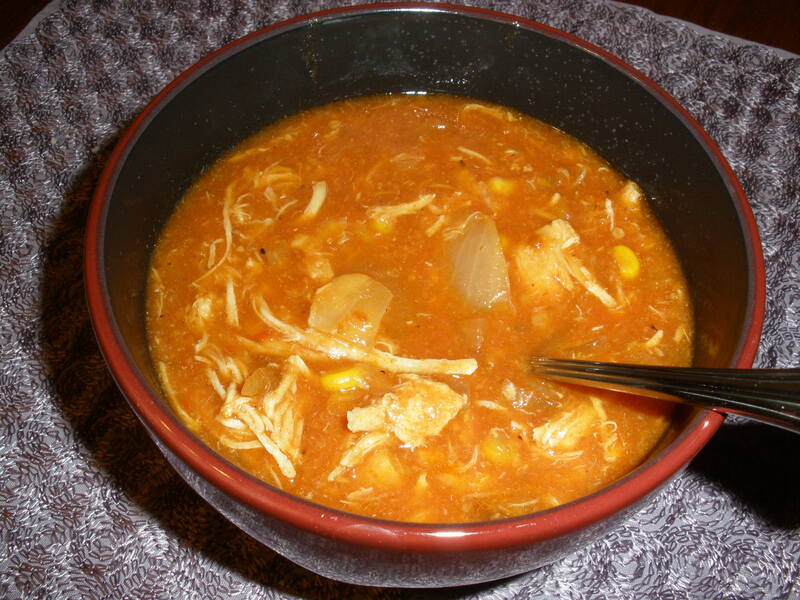 Place chicken back in the stew, stir to combine, and enjoy! 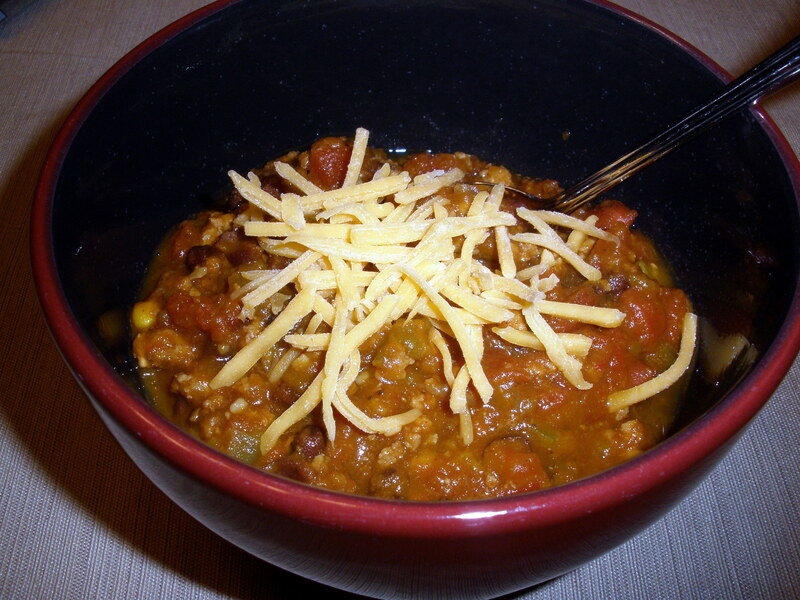 Even though we didn’t end up being snowed in yesterday, I had planned to make this chili recipe for “Snowed In Saturday.” I think it was great. My husband added some black pepper to his bowl to give it a little more of a kick. It’s not really spicy at all, but does have a lot of flavor. 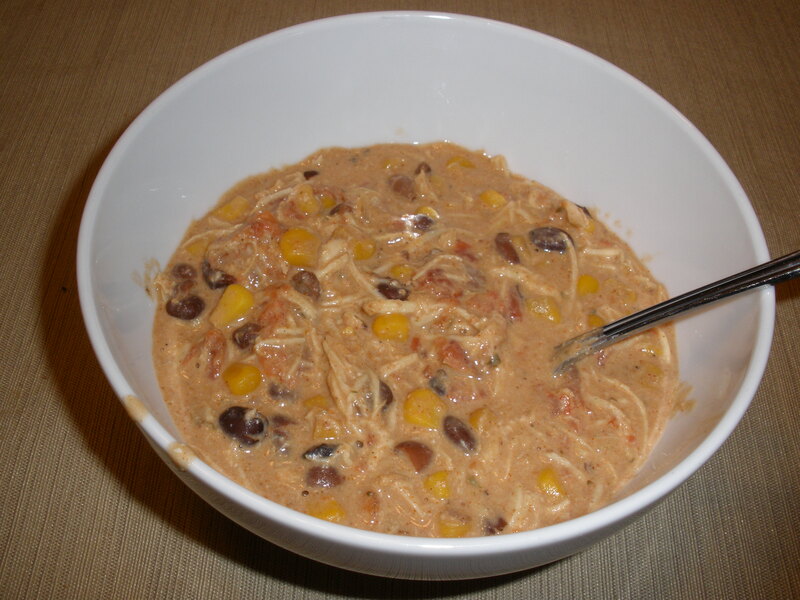 Mix together all the ingredients and cook in crockpot on low for about 8 hours.